Many are always confused when our Economists and their Statisticians come out to reel out figures about the potentials of Nigeria, one is tempted to ask, why the paradox about the entity called Nigeria? The world as a whole regard Nigeria as a rich Country, yet we are always at the bottom of all the economic indices ranging from GDP, Per Capita income, GNP, etc. The Minister of Finance and the Nation’s economic team just re-based the Economy and what did we get? Hues and cry from analysts, pundits and the masses at large. Would you blame them? How can we be the 26th biggest economy in the world and yet Nigerians can’t afford the basic necessities of life? Our Per Capital income at less than three thousand dollars, still remain one of the lowest in the world. Why are there so plenty, yet so little? The President recently asserted that Nigeria is not poor but how to distribute the resources is the problem. 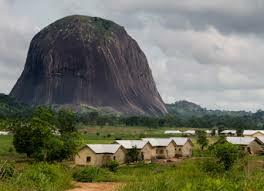 Nigeria is often referred to as the Giant of Africa due to its large population and economy. With 174 million people, shouldn’t our population be a plus? It is also a MINT group of countries, a group that include Mexico, Indonesia, Nigeria and Turkey modeled after the famous BRICS of Nations by the renowned Economist Jim O’Neal. Can we really compete with any of these Countries? Did someone say we are better off than this bunch of Countries at Independence? What now happen if I may ask? We are also listed among the next eleven economies to look out for. How long can we wait? Maybe until we all get perished by poverty. They say our land flow with milk and honey, yet the people of Nigeria are still bedeviled by stark poverty. We are the eight biggest exporter of Petroleum, yet of all the Members nations of the Organization of Oil Exporting Country (OPEC), the Rate at which we purchase the same product remains the highest. It is ludicrous! According to Waterhouse coppers, with a projected GDP of nearly US4 trillion by 2050, Nigeria is projected to be the 13th among the biggest economies, If it realizes it’s potential. Did I hear 2050? Are we not tired of the Statisticians and their projections? I think we have enough of these figures being thrown out us, all the people want are the basic. Come to think of it, Nigerians are very modest in their demands. Just provide water, modest hospitals, schools and most importantly electricity to power their small businesses. But really, what is responsible for this malady? Is it leadership? Am I being rhetorical? Or is it the canker worm called Corruption? Personally I think we cannot divorce this tag team from the challenges militating against the development of Nigeria. Leadership and corruption have been the bane of reaching its potential. Didn’t they say a Nation deserves the leaders they get? Do you agree? When the leaders even buttress the arguments being held by the same people that corruption is endemic and practically nothing is being done, then you would agree with me that we are in for a serious beating. My conclusion is, we need serious prayers!!! !